Clear your calendar - it's back!! National Muffin Day kicks off again on February 24th, and you're invited to take part in the festivities. Your Kitchens & our City Streets are the meeting spots for a day of baking & giving. Come one, come all, bring a guest or four! We've moved our official site over to NationalMuffinDay.org! Check out our interview on Pickler & Ben. It was fun to share our story with them from our 2018 National Muffin Day adventures! Check out our interview with the Inside Edition team! 1-Bake muffins for homeless people. 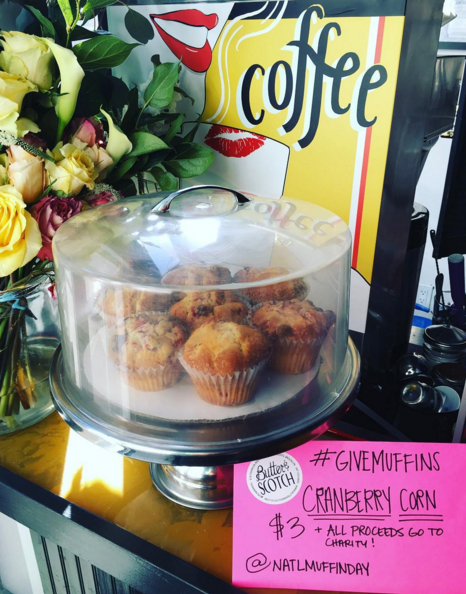 2-Post on social media with #givemuffins. 3-Deliver to the hungry in your city. For every person who posts on social media, Jacob "the Muffin Man," his parents, former employer and current employer will donate per person to the nonprofit Project Homeless Connect. That's $40 per baker. In past years, others have matched his donation! This year, will it be you? *since we're lawyers, donations subject to a cap if this really goes viral. 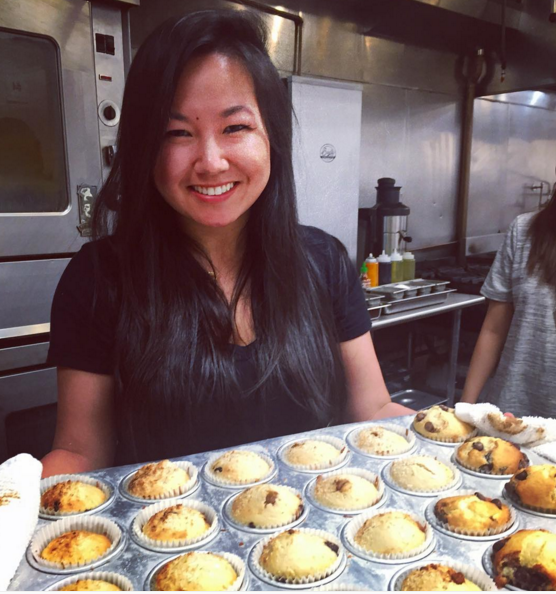 What I've Learned from handing out 4,000 muffins. WHY MUFFINS ON NATIONAL MUFFIN DAY? ON MEDIUM. Thank you for participating. We appreciate all the benevolent bakers out there! Join our conversation in our Facebook group and event page to engage in discussion, share photos and be part of our community. Be on the inside of all that is happening with National Muffin Day. We'll send you exclusive updates as we countdown.  You'll share information with the world about #givemuffins. Have a big enough kitchen to share? Want to bake with other like-minded folks? We encourage baking parties at home or at the office. When you RSVP, let us know if you are able to host and we'll connect bakers to make a difference. You can donate prizes for the bakers or money towards our cause. Let us know when you RSVP how you'd like to help out beyond baking. Jacob went to tell his story at the popular live show The Moth in SF. Each month, there's a theme. January was Obsession. He prepared a great story to tell about National Muffin Day! Unfortunately, his name was not selected out of a hat to be one of the ten live stories. So, he stood outside the venue and told the story he planned to share. Listen to a soulful tune and video about National Muffin Day! Jacob shares more about National Muffin Day in this video! Step into Jacob's kitchen to learn more about National Muffin Day! ﻿We will be donating to Project Homeless Connect and Family Promise, organizations that bring necessary services to people experiencing homelessness. PHC is in San Francisco and uses a unique approach to service delivery to meet the needs of homeless San Franciscans.We will also be giving to Family Promise, which supports families who are experiencing homelessness and has over 30 locations across the country. Jacob "Muffin Man" Kaufman, his parents, his former and current employeer will donate $40 per unique social media post with #givemuffins. Your participation helps PHC and Family Promise provide life-changing services to people who are experiencing homelessness. Thank you to our partners who help make National Muffin Day even more awesome by donating dollars and prizes. 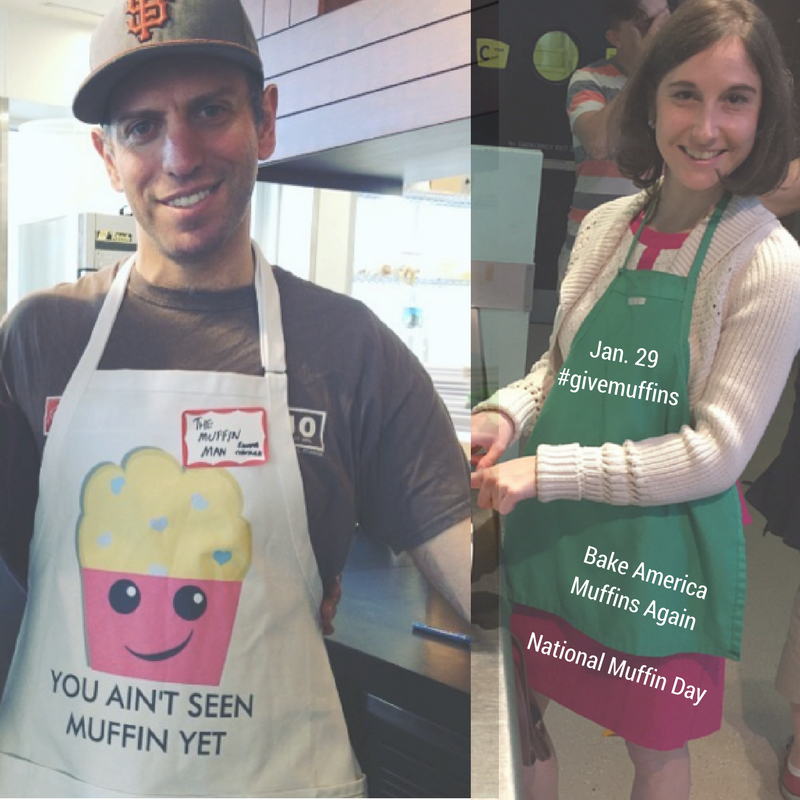 Take a Look back at NATIONAL MUFFIN DAY 2015, 2016 and 2017. We have made a lot of awesome memories- thanks to all of your participation! Looking for a homeless shelter or food kitchen to drop off muffins, take a look at the resource listing of places by geographic area. WNYC follows one family as it negotiates its way through New York City’s multi-million dollar anti-homelessness program. Listen to this powerful series, The Long Way Home. This will enable us to tag you publicly in the Muffin Day excitement. By sharing your location, we can connect you with muffin baking parties and share ideas of where you can give out muffins. How would you like to participate in National Muffin Day? You can select multiple options. We'll follow-up with you to discuss your interests.